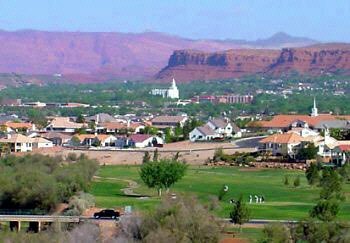 We can help you buy the first time or the twenty first time anywhere in the Southern Utah real estate area. We have the expertise, resources and dedication to help you achieve your goals in Hurricane or St. George real estate investing. We understand and realize in this busy world we live in that a 'personal touch' is often overlooked in business nowadays. I feel it is the difference between average and great agencies. We provide the personal touch you need when investing in real estate. We are experts in the Southern Utah area and know the details when it comes to investing in real estate. Either for personal rentals or commercial operations you can be sure we will handle your transaction(s) with the utmost respect and professionalism. Come see why so many people are buying, living and investing in this area. Our community spirit wonderful outdoors draws so many to the Southern Utah region. We look forward to working with you closely so we can fulfill all of your real estate goals and needs whatever they may be. We invite you to experience what Southern Utah has to offer along with our famous no-pressure, no-hassle consultation. Call us today to see how we can help make your Southern Utah investment dreams come true. We look forward to visiting with you real soon. Contact us today for any questions on St. George real estate or with help in locating your next investment anywhere in the Southern Utah real estate area.